No matter what the age, I love to read books about women who are able to overcome adversity and stay strong. Today I have reviews of 4 current and upcoming books that I've read about strong women. Are there other recent books that you would add to my list? Please share them - I always love to hear about books that I haven't read yet. 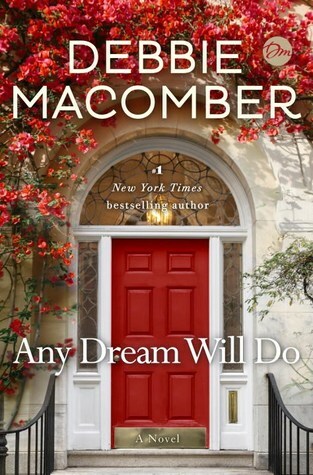 Debbie Macomber never fails to provide her readers with a wonderful well-told story. Even though she seems to be moving away from her total romance genre, her move to women's fiction has continued to provide fantastic books for her readers. Shay had grown up with an abusive father and after her mother died she tried to help raise her brother. When Shay finally gets a good job as a bank teller, her brother, a drug addict, convinces her to embezzle some money to help him out for a few days and then lets her take the fall for him and she spends several years in jail for her crime. When she gets out of prison, she has no one to meet her and nowhere to go. She takes the bus to Seattle and goes into a church to keep warm. There she meets the pastor, Drew, who is struggling with his faith after the death of his wife two years earlier. Drew helps Shay get into a recovery program and they become friends....but can their radically different paths allow them to become more than friends? This is an engrossing book about family and forgiveness and dreams coming true. 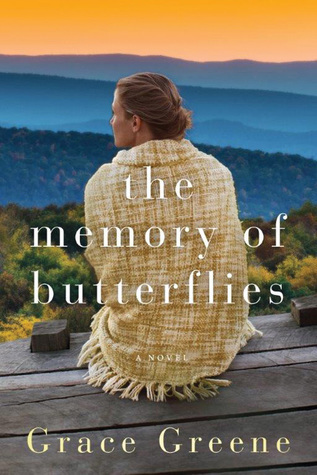 Grace Greene is a new author for me and after reading The Memory of Butterflies, I have just ordered her previous books. I loved her writing style and am not sure how I missed reading her earlier. This is a book that grabs you at the beginning and quickly has you emotionally involved with the characters. It's a story about family and secrets that can destroy a family. Hannah is a single mom who has totally built her life around her daughter Ellen. As the novel begins, Ellen is excited to be going away to college and Hannah has decided to rebuild a house on the land that she grew up on with her grandparents. As Hannah spends more time at the remains of her grandparent's house, she reflects on the secrets that they kept from her about her parents and how she accepted the secret and went on with her life. She knows that she has kept a major secret from her daughter and that if her daughter finds out, their life together may be destroyed but fate intervenes and Hannah finds out the results of keeping secrets within a family. This is a beautifully written novel about the love of a parent for a child and the sacrifices that a mother will make to bring happiness and well being to their child. It's a wonderful, emotional story that will stay with readers long after the last page is turned. 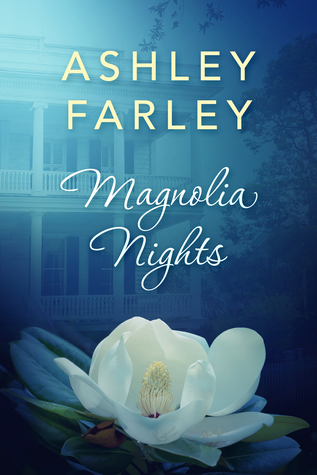 Magnolia Nights was another great book by Ashley Farley. It caught my interest on the first page and had me turning pages at a fast pace to read the entire story. The main elements of southern Gothic novels are that they contain decay, outsiders, violence, and are set in the south. That said, this book is Southern Gothic at its best. The main character, Ellie, is amazed when her grandmother, who she hadn't seen in almost 35 years, leaves her house and her fortune to her. Ellie has few memories of the grandmother that she had last seen at 6 years old and only knows that something happened in her grandmother's house that had kept in her therapy for almost her entire life. When she walks into the house in Charleston, SC, the memories start to come back and when she finds her mother's diaries, the truth of her first six years is revealed. I loved this book and the characters and the setting. Even though Ellie's story is basically complete by the end of the book, the author leaves us with some unanswered questions. I can only hope that the author has another book in store for us about these characters. Or even better a trilogy! Warning: Don't read this book if you are hungry or else have something close to your reading spot to snack on. Actually, even if you aren't hungry, you will be after you read about the wonderful food served at the diner. Added bonus - recipes at the end of the book on how to make some of the wonderful food from the diner! I loved this book for several reasons - first, the personal reason. I grew up in the suburbs of Detroit (on the east side) and went to college in the city so Detroit is a special place to me. I want to see it come back to being the great city that it once was and the revitalization of Detroit is one of the underlying themes of this book. Second, I love to read books that weave current issues of the day into it and this one does a great job of doing just that. The author writes about human trafficking, racial issues, drugs and white flight from the city to the suburbs among other topics. Third, I loved the characters in this novel. 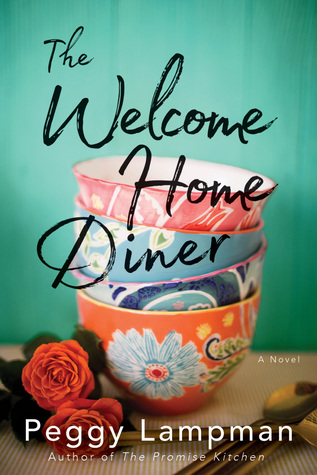 Two cousins buy an old gutted out diner in the city and try to become part of the neighborhood. They are met with resistance from the old time residents, no matter how hard they try but they keep trying. Not only are Addie and Samantha fantastic main characters but they are surrounded by great secondary characters who also work at the diner. And lastly, as mentioned earlier, the descriptions of the food served at the diner are awesome. This is a fantastic well-written book about two women who are trying to do their part to make not only their neighborhood but also a beautiful city come back to life again. I loved it.